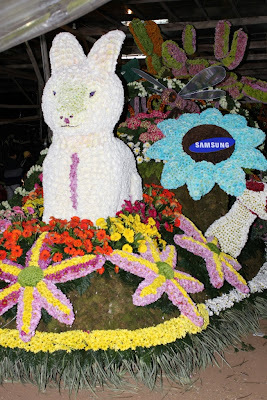 For those who didn't catch the most colorful and organic festival in our country - Panagbenga Festival - I'm happy to share to you as well as our friends from Samsung Electronics Philippines Corporation the recognizition they bagged at the recently concluded 16th Panagbenga Festival. This year's festival made more colorful and grandeur by the participation of international companies like Samsung. And this year, aside from having Sam Milby and DJ Andi Manzano on their floats, Samsung Electronics Philippines also gave a wonderful offering to all spectators through their Alice in Wonderland inspired float. 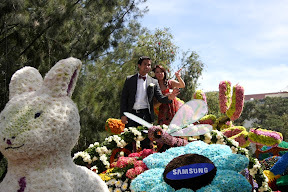 Yes, the most celebrated and well-known fairytale in the world was brought into life by Samsung Electronics Philippines Corporation during the Panagbenga Festival in Baguio City. 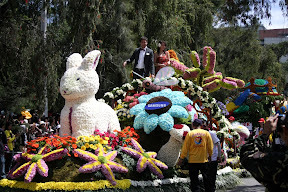 Consisted of 3,000 flowers consisting of 18 varieties of Chrysanthemums from different countries like Malaysia, Japan and China, pink and white roses, 6 varieties of Gerbera, carnations, statis, everlasting, anthuriums, Bachelor’s buttons and hydrangeas - Samsung Electronics Philippines Corporation's bagged the Best Float Title to this year's festivity. 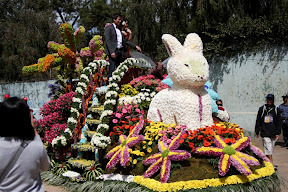 The winning float, which was designed by King Louis Flowers and Plants Inc., wowed thousand of tourists who braved the crazy traffic in Session Road going to Athletic Bowl. This year's Panagbenga Festival's theme is "The Environment and Community in Harmony," hence Samsung came up with something that has to do with nature and can be enjoyed by young and adult. Congratulations to the organizers of Panagbenga Festival for another year of successful event! And congratulations to our friends from Samsung for bagging such a heart-warming recognition! 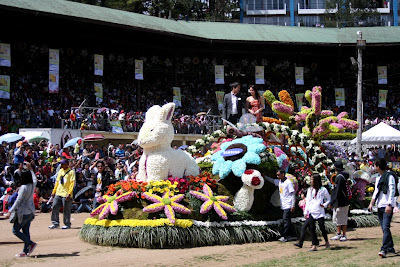 I hope next year I'll get a chance to see Panagbenga Festival again!